Map It! Okinawa: "Iji Shrine and The Cherry Blossom Hill"
Iji Shrine and the Cherry Blossom hill behind it. Mark your calendar! Cherry Blossom season is just around the corner and with the season so short, it's a good idea to plan ahead to where you want to go and see these beautiful flowers. What's obviously missing in the picture above are the blooming Cherry Blossoms. That's because this photo was taken around October with the anticipation of coming back during the January/February blooming season (photos of the full bloom will be added to the photo album later). 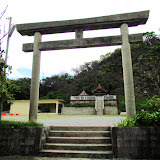 The picture is of Iji Shrine located in Kunagami Village, just north of the Okuma Recreational Facility. Behind the shrine is a large hill populated with Cherry Blossom trees. Though this is not Nago or Mount Yaedake, the backdrop of Cherry Blossoms still make for a beautiful scene. 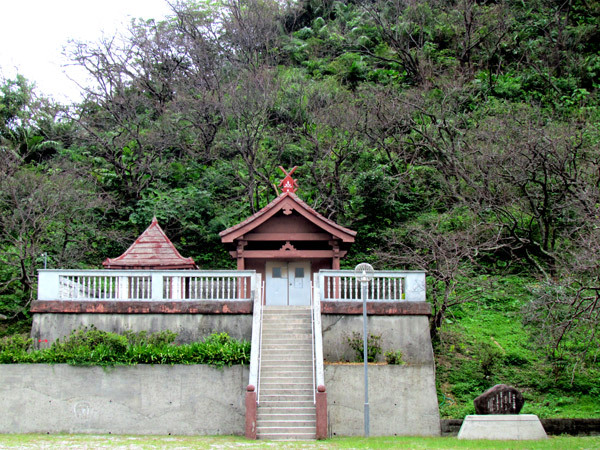 The god enshrined here is called 'Uji Kama-sama', with 'kama-sama' given reference to a god. There is a large stone with a poetic inscription by a poet named Toguchi Seisho. The poem compares the beauty of the Cherry Blossom to that of the people of Iji. Getting there. The location is not too far north of the Okuma Recreational Facility. Look at the map for the landmark. It is far enough to the south to give you an early warning. Once you pass the the landmark you make a right (if going north) on the second turn. This will take you into the Iji village. From there you will have to navigate your way north/northeast. Roads are tight in this neighborhood. Parking. There is a small parking lot, but during Cherry Blossom season finding a close-by parking spot may be difficult and you may have to park further out. In fact, this may be a good idea. The roads are tight and exiting the place might be more difficult the closer you park near the shrine. And by walking, you will get to see the town as a whole and hopefully meet some of the locals along the way. A "Konichi wa" (good afternoon in Japanese) with a smile goes a long way in Okinawa. Even if you park near the 58, the walking distance shouldn't be too challenging. You also may be tempted to take a side route into the mountains as your escape. During the last visit, there was a unexpected dead-end though it does not show on the map. The roads going up are somewhat steep and most times large enough for one vehicle. 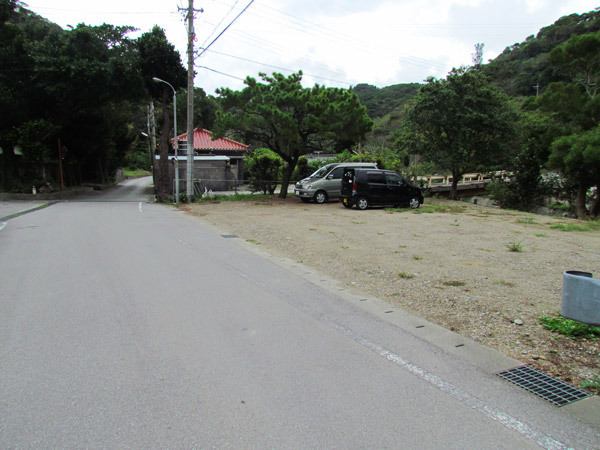 Highly discourage any such spontaneous vehicle excursions here in Iji during the Cherry Blossom season. Good advice is to leave the same way you came out. 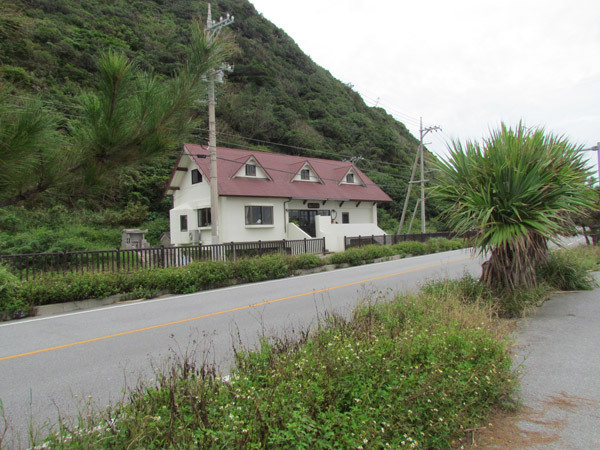 Other places of interest nearby: River Stream in Ura, Small Cave Spring in Kunigami, Yanbaru Wildlife Conservation Center. Got my attention, now. Maybe I'll go scope the place out so I'll know how to find it when the time is right.